In the 1950s, US engineers were sent to Afghanistan to build a huge dam. The aim was to irrigate the deserts of Helmand. The town of Lashkar Gah was built to house the workers. 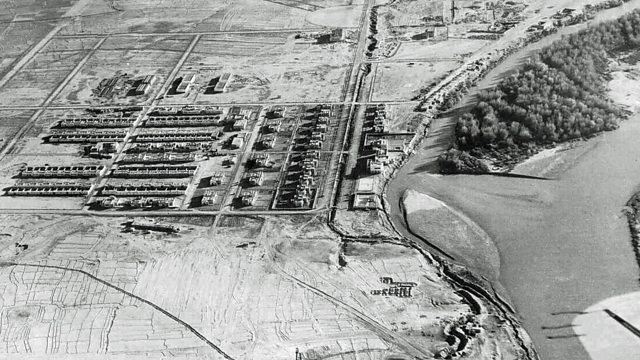 Photo: Lashkar Gah from the air, 1957.